This was a super gorgeous drum table already, so I knew I wanted to preserve the beautiful pattern on the stained top. I made it just a bit more modern with two coats of Annie Sloan Chalk Paint in Old White, then integrated the two with a wash of French Linen. I gently distressed the detail points on the legs and trim for a seamless transition between antiqued and modern shabby / vintage chic! This table is so much more than a basic neutral! It is a truly lovely piece that will blend perfectly with any design, style, or home decor. 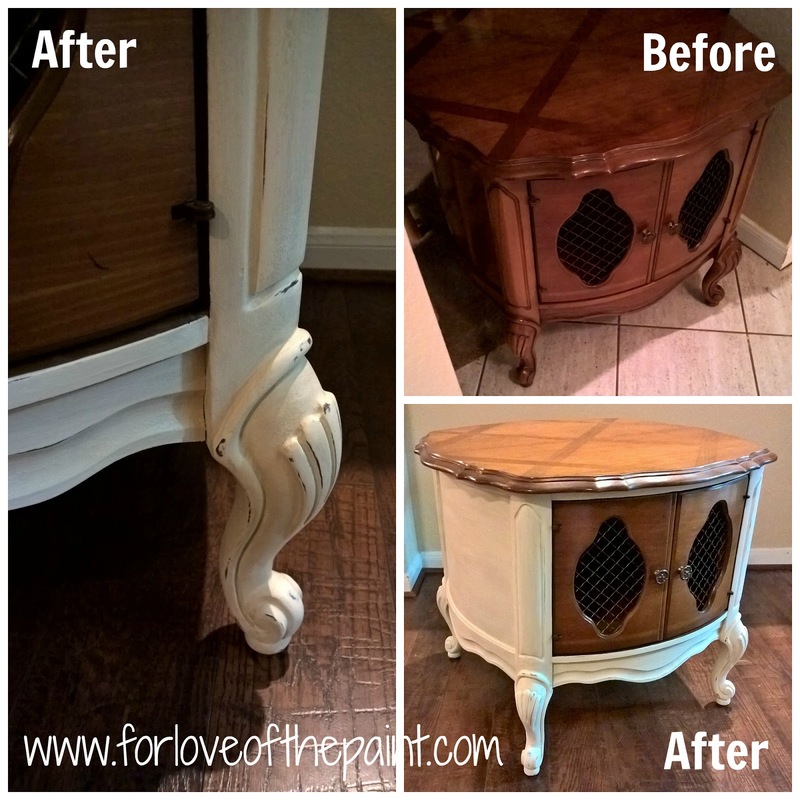 I adore color, but I also love the versatility of the paint/stain blend on this classic French Provincial style piece! How interesting! I've never seen a table like that. Very cool. Thanks, Christine! That's why I love these great vintage finds; they're really one of a kind gems these days :) And who doesn't need lots of extra storage? !